The latest technology hard plastic bushes directly replace existing rubber ones giving much longer life , virtually maintainance free and dramatically improves handling. If you really want to go "over-the-top" with your mechanical modifications , this is the ultimate kit for you ! Everything you need to transplant either 1600cc , 1800cc or 2000cc Fiat twin-cam engine into your Minor , with various options available for transmissions.Full instructions included , of course. Straight replacements units giving greatly improved visibility. Includes complete ready-assembled steering column and switch ready to bolt straight on. Alleviate that annoying timing chain rattle ! Converts to a spring loaded arm type tensioner . 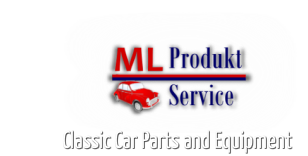 Includes : Tensioner arm , spring , bracket , pin , timing chain cover with oil seal , gasket and fitting instructions. Easily fitted to the glove box lid (1964 models on ) for added security.